Jinkies! Last Thursday (10/5) Fox cruelly cancelled Brooklyn Nine-Nine, after five consistently funny seasons… then the very next day, NBC picked up the tab, and ordered thirteen shiny new episodes! Hurrah! In the show’s remarkably brief “limbo” period of non-existence, there was a loud outcry from fans online, including some surprising celebrity supporters, such as Academy-Award-winning writer/director Guillermo del Toro, who tweeted: “[B99] has given us fully human characters, beautiful, powerful, flawed, vulnerable, majestic… In whichever form, B99 must return. It will. And I will be there to watch. And, it is my hope that, this time, a lot more people do too.” Amen. That said, I can’t help wishing they could tweak the show’s formula a tad, to shift the focus away from ‘Jake’ (Andy Samberg), and give the rest of the cast more to do. 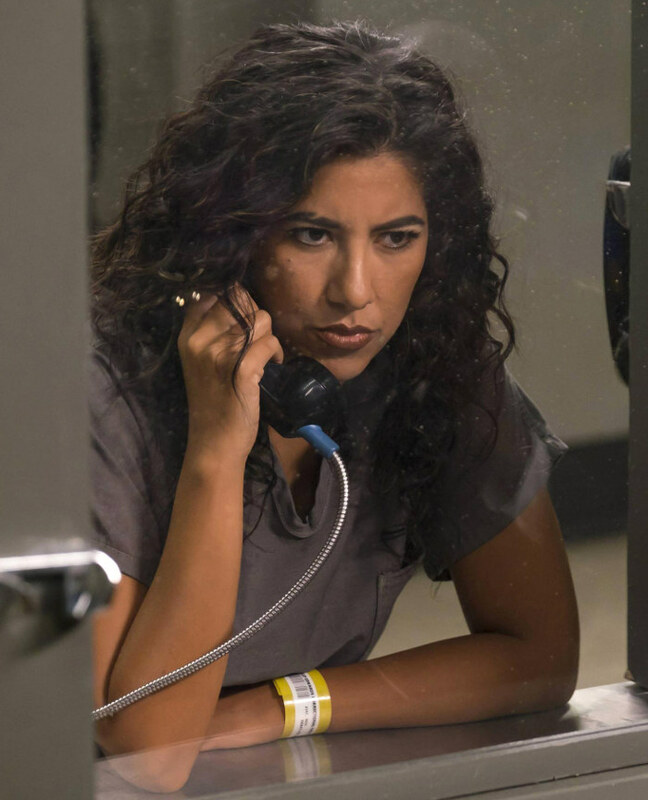 When I read a SPOILER that last week’s episode (#5.20) would see ‘Rosa’ (Stephanie Beatriz) getting caught up in an “active shooter situation”, I naively assumed that meant the story would be centred around her being heroic while isolated from the rest of the squad (just as “The Box” (ep #5.14) was a two-handed showcase for Jake and ‘Holt’ (Andre Braugher)), when in reality it meant she was absent for almost the entire episode, while everyone (but especially Jake) fretted over her off-screen safety. Meh. The same thing happened at the start of the season, with the comparative weight (and screen-time) afforded to Jake’s incarceration, over his fellow-victim-of-injustice. Is equal representation for Rosa and ‘Amy’ (Melissa Fumero) really asking too much, in this day and age…? Edit (15/5/18): Mea culpa (me a idiot? ), I wrote the above before I’d seen this week’s episode (#5.21), in which Amy and Rosa (aka “The Sleuth Sisters”) got a subplot all to themselves, teaming up to catch a major criminal who’d eluded them in their younger days. This was absolutely glorious, and much appreciated. More, please! This entry was posted in Rants about TV and tagged Amy Santiago, B99, Brooklyn Nine-Nine, Melissa Fumero, Rosa Diaz, Stephanie Beatriz. Bookmark the permalink.